Why is sleeping a major issue with my internationally adopted child? You're home! You're ecstatic, relieved.and quite simply, exhausted. All you want to do is sleep and you really need your newly adopted child to do so as well. But instead, your precious new bundle just doesn't seem to be able to relax and adjust to the new daily schedule. What should you do? 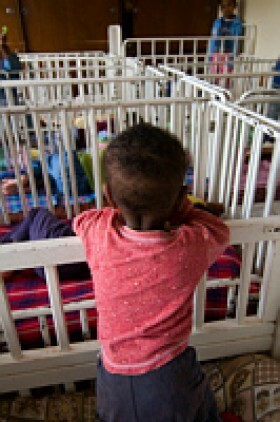 Orphan children that live in traditional institutions are commonly placed on a regimented sleep schedule. This schedule is created so that the caregiver will have some quiet time in order to attend to other things necessary to run the orphanage. Sleeping keeps children safe and out of trouble. While this is the main reason why sleep programs are implemented, unusual circumstances can cause people to take these measures to the extremes. In some of the more understaffed orphanages, healthy pre-school and younger school age children are forced to sleep 3-4 hours in the afternoon. While I do believe that this routine is created for administrative purposes, I do feel that some cultural differences also come into play. After a child is adopted, parents are generally given a detailed sleep schedule for their adoptive child. This schedule quickly disappears once they arrive home, because of the hustle and bustle of Western daily living. Sleep disturbances are extremely common in the immediate post-adoption period and can linger for a couple of month. Anxiety of going to sleep, self-stimulating behaviors (head banging, rocking), nightmares and night terrors are some of the common sleep disturbances encountered in this group of children. The reasons why these sleep disturbances occur really do not surprise anyone, considering the magnitude of change that is encountered by these children. While living in the orphanage, these children almost always shared a bed or at least a room with other children. In some Asian countries, toddlers that were in the foster care system are accustomed to sleeping with the foster mother. In both of these examples, there was another human body near them to comfort them, and in their little minds protect them from the dangers in the night or The monsters in the closet The imagined possibility that even the new adoptive parents might disappear is enough to scare almost anyone. In Western culture, the placement of these children in their own room can be overwhelmingly frightening to the newly adopted child that is also experiencing dramatic life changes. Basically, everything that these babies identified as normal living has been turned upside down. In addition, most frequently cannot even communicate their fears to their parents. I have had mothers describe to me behaviors of banging their head, rocking and serious thrashing of the body just prior to falling asleep. This occurs as a self-stimulating ritual that helps the child soothe himself to sleep. It is one of the sad realities of being born an orphan child. 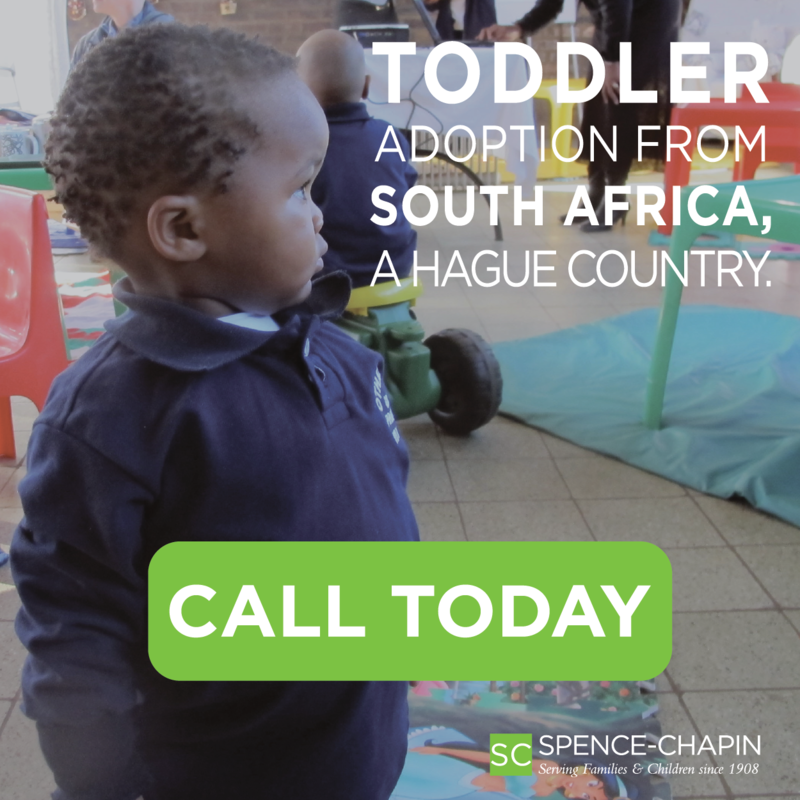 The worst case that I have ever encountered was a 23-month-old girl adopted from Moldova . This child would throw her entire body from one side of the crib to the other for approximately 15-20 minutes until she finally fell asleep. When the parents described this behavior to me I immediately wanted to reassure them that what they were describing was routine. The parents conveyed their concerns that this behavior was too severe to be considered natural. After reviewing the video prepared by the parents right before sleep, I had to agree, it did not look normal even to a physicians eye. It almost looked like a seizure, but it could not have been because the child did it every evening before bed. The child was completely lucid during the entire time period up until she fell asleep which was always predictable. We worked the child up for a seizure disorder and fortunately did not find one. Nightmares and night terrors are also quite common in the orphan child. Children wake up in the middle of the night, frightened, disoriented and occasionally inconsolable. Some children cry out for a past caregiver or friend, and when the adoptive parent arrives to comfort them it is sometimes not enough because they were anticipating somebody else. Sleep disturbances as mentioned earlier are common and expected in the internationally adopted child, no matter what country they arrive from. Over time these behaviors will diminish and eventually disappear. I have had some cases where co-sleeping with the adoptive parent for the initial weeks to months has helped to lessen the child's anxiety over sleep, and has eased that transition from orphan life to family life. Repeated expressions of love, security and the mere statement that Mommy and Daddy are here to care and watch over you will help calm a child over time as trust develops. Once this is accomplished, the change to a more conventional sleeping arrangement can be done. Until that time, maximum flexibility and understanding on the part of the parent will be necessaryand may assist in allowing the parent a good nights sleep as well. AdoptionDoctors.com , is an innovative adoption medicine educational service, dedicated to helping parents and adoption agencies with the complex adoption related medical issues encountered in the internationally adopted child. Pre-Adoption medical record evaluations and Blind Referral support services are also provided via this website. Post-Adoption Medical Care is provided in our Adoption Friendly General Pediatric Private practice, in Long Island New York . For more information, visit AdoptionDoctors.com or call 631-499-4114 . Disclaimer: The information provided is intended for educational purposesonly. It is not intended to be medical advice on how to deal with a particular situation and or problem. If your child has a specific problem you need to ask your pediatrician about it - only after a careful history and physical exam can a medical diagnosis and/or treatment plan be made. This Web site does not constitute a physician-patient relationship.